"Croatia said ‘Yes’ to the European union". Those were the words of the country’s prime minister, Zoran Milanovic, before he cast his ballot in favour of the country’s EU integration. "Croatia said ‘Yes’" were also the first comments at the end of the election day on Sunday, January 22. In the second referendum since Croatia gained its independence 20 years ago, some 4.5 million Croats were called on to answer with ‘Yes’ or ‘No’ to the question “Are you for the country’s membership in the European union?" Despite the calls of the new prime minister, Zoran Milanovic, the messages from celebrities on the TV, including general Ante Gotovina's, who directly paid part of the price for the future membership after being arrested and transferred to the International Crime Tribunal in the Hague, more than half of the eligible voters did not go to the polling stations. According to the first official results, announced by the state election commission, 43.51% voters cast their ballots on Sunday. Of them, 66.27% backed the country’s EU membership, while 33.13%, probably scared by the current EU crisis, by the threatening news about the future of the euro or impacted by the anti-EU movements, voted against it. “We are making decision ourselves, the success or its lack depend on us,” Parliament Speaker Boris Sprem said after the first results were announced and greeted Parliament with “Good morning,” despite the late hour, as, according to him, the results meant a new day and a new historical chapter for Croatia. 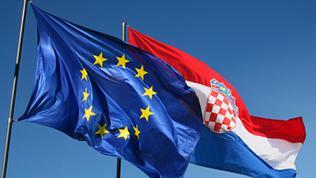 President Ivo Josipovic in his turn said that the outcome of the referendum has determined Croatia’s EU future. Also in Parliament Prime Minister Milanovic defined the outcome of the referendum as a historical one, pointing out that such a decision was taken just once before – on the referendum that took place on May 19, 1991, when Croats voted for their independence from ex-Yugoslavia. Actually, for some Croats who voted against the country’s membership or abstained from voting, a key reason for doing so was in fact the fear arising from the memories, related to what happened with ex-Yugoslavia. For some of them, entering a new union 20 years after having left another, was meaningless. Others were concerned over the future of the European Union and were afraid that it could have the same fate as former Yugoslavia. Slovene Jernej Stromajer‘s tweet a few minutes after the polling stations were closed read: “We have destroyed Yugoslavia, we will do the same with EU,” led to quite controversial comments. The EU leaders, however, as well as top officials from ex-Yugoslavia states, saw a positive sign for the whole region in the outcome of the referendum. “The upcoming accession of Croatia sends a clear signal to the whole region of South Eastern Europe. It shows that through political courage and determined reforms, EU membership is within reach. 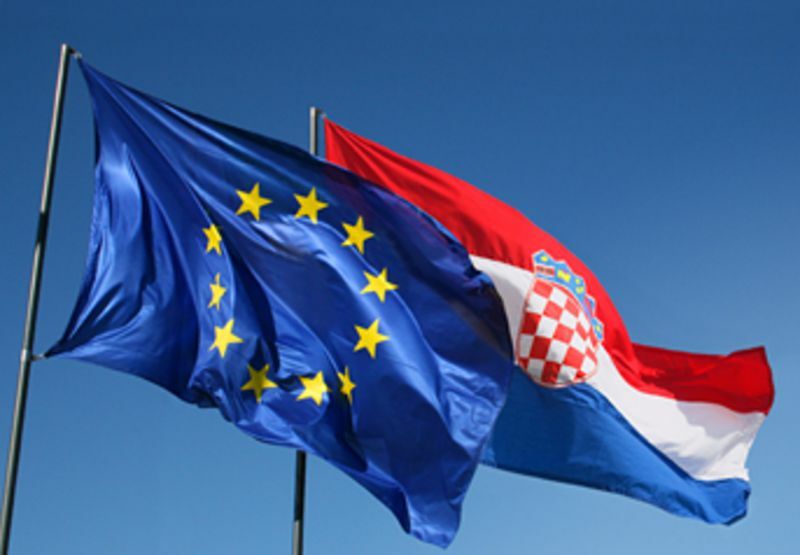 Today's positive vote is therefore good news for Croatia, good news for the region, and good news for Europe,” European Commission President Barroso and European Council President Van Rompuy said in a joint statement. Not that good news, however, was the low election turnout at the Sunday’s referendum, which happened to be the lowest among all EU member states which conducted such polls before joining the bloc. It was lower even then the referenda held in Hungary and Slovenia in 2003, when the turnout was 45.6% and 60%, respectively. Prime Minister Zoran Milanovic said the low outcome was a result of fatigue among the Croats but added that this was a message to the government rather than a response to the overall situation in the country. Just a few days before the referendum it became clear that the government planned to increase VAT to 25% from 23%, a hike that will become effective on March 1, as well as cut the country’s budget for this year. Milanovic, who has become prime minister just a few weeks ago, stepped into office in quite a difficult moment – on the eve of EU membership, but also during a serious economic crisis and corruption affairs. According to Milanovic, however, unlike the government of former PM Jadranka Kosor, which increased VAT by 1% in 2009, his cabinet would also take cost-cutting measures, which was not done by Kosor and which led to the accumulation of huge debts. Another reason for the low turnout could also be the fact that the government started the referendum campaign in the beginning of the year, which, according to some analysts, was not enough time for voters to get acquainted with all the documents, related to the EU accession process, although all of them could be found on the websites of the Croatian institutions. Deputy Prime Minister and Minister of Economy Radomir Cacic in his turn commented, saying that ‘Yes’ to EU accession was a key prerequisite for exiting the economic crisis and attracting of new investors. "If we had said ‘No’, that would have meant a rating decrease within the next 24 to 48 hours. A ‘No’ would have meant, if not a collapse, then at least a serious danger, both in the short term and in the long term", he said.